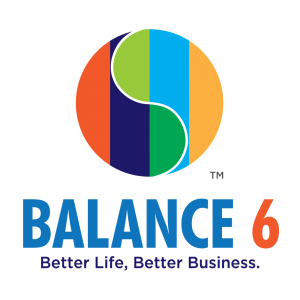 My unique “Balance 6 Coaching” helps business owners achieve higher productivity, profits AND better personal life, by learning to balance money, health, relationship, time management, self-improvement, and higher power. Attention to only one or two of them can lead to work-life imbalance with negative consequences for all involved – yourself, your family, employees, clients, AND your bottom line. I work mostly one-on-one, sometimes in group mastermind sessions. For almost a decade, as a coach, mentor, and speaker, I train and consult business owners to multiply productivity and maximize team performance. Many clients experience less stress, increased productivity and profits, improved communication and better relationships after committing time and efforts under my training. I was trained by some of the most revered management experts including Brian Tracy, John Assaraf, and Christian Mickelsen. I bring 20 years of professional pastoral ministry experience and skills to business and life coaching, with work/life integrative perspective. With a holistic and comprehensive approach, I guide my clients to develop a sense of control and empowerment in both business and life. Time management is where I start. 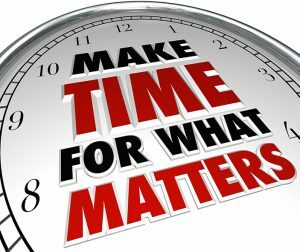 Inefficient use of time leads to loss of profits and deteriorating health and relationships. I challenge you to put yourself first, not last, and learn to say no, knowing the difference between rules and exceptions. Being busy is not the same as being productive. Keeping healthy work-life boundaries will help you stay off the hamster’s wheel. I check on performance regularly, to hold you accountable. I also offer customized leadership training, team building and employee retention on a long term basis. You will learn how to delegate, own your schedule, get things done, have less stress, more time and money and longer vacations. I help you establish new habits and “SMART” Goals: specific, measurable, achievable, realistic,time bound. We develop strategies & tactics for 30 days, 60 days, 90 days. 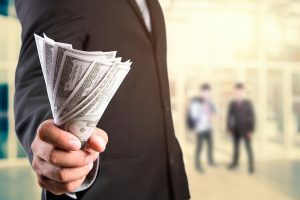 A study shows that investing in business coaching has a ROI of 529%, it can be as high as 788% if adding increased employee retention, not to mention all the tax write off for coaching. I have a 30-day money back guarantee. I let you know in the beginning what you can expect in 90 days. What does it cost you to wait? Get off the hamster wheel, and I will show you the secrets to real success! let’s have a balance 6 breakthrough session. I look forward to a breakthrough with you for a better life, and better business! Learn how to only do the things no one else can do. What items on your to-do-list could be done by someone else? This could be a team member or employee or you can outsource to, or hire someone. Is there a clear line of command? Do all team members and/or employees know their responsibilities? Are there detailed job descriptions? Do they know what’s expected of them and what they can expect in return? Business leaders need to have a habit of checking these: Do you reward your employees for good performance and extra effort? Does everyone on your staff know the mission and vision of the company? Does your staff know and reflect the behaviors in the mission statement and the vision for the company? Are you aware of your employees’ gifts and talents? What strength does each person bring to the company and how could these strengths benefit your organization? Do you have regular staff development days and outings? If your employees get asked why they work for your company and not for the competition, what would they say? What do you need in order to be your best self? What recharges your batteries? Make personal well-being a priority and not an afterthought. Remember what you’re told on the airplane, “put your mask on first before assisting others.” We develop strategies to apply this advice to your life & business. Set office hours, have designated days off, set aside money and time for annual vacations, do NOT bring work home, unplug (turn off cell phone and computer).